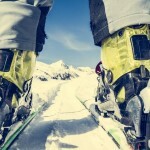 The best ski helmets are a potent combination of safety, comfort, and fashion. When zooming down the slopes on a pair of skis or a snowboard, having a ski helmet in place to protect your head from injuries is nice. Plus, ski helmets can look pretty awesome flying down the mountain and can make you stand out in the chairlift line. 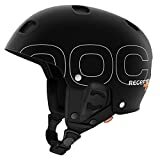 So, when you are heading out to the slopes this winter, make sure you have a ski helmet that not only keeps your head safe but also looks as cool as the rest of you. First and foremost, the best ski helmets are constructed to protect your head from the sudden impacts that can come from skiing or snowboarding. The majority of injuries in skiing are head injuries from one’s head hitting snow and ice after falling. Most helmets are made from rubber, plastic or a foam compound to cushion the head while at the same time allowing it to stay warm while also providing an outlet for venting so your head doesn’t get overheated. All ski helmets are tested to fulfill certain safety standards before being put out on the market for purchase. 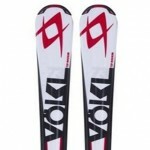 There are three main styles of ski helmet – a full shell, a short shell, and a full face helmet. A full shell helmet provides a hard shell protective covering over your entire head while also covering the ears, protecting your temple and pressure points from the impact. Short shell helmets are like full shell helmets in that they protect the top of your head, but typically do not cover your ears. However, they do cover the important impact areas skillfully and sufficiently. The full face helmets resemble motorcycle helmets in that they cover the top of your head, your ears, and also bend back around to protect your chin and jaw – perfect for people who engage in competitive racing. 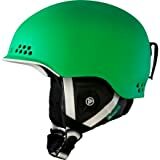 Because ski helmets come in different styles and cater to different types of skiers and boarders, this list of helmets is broken down into the three main types. So before deciding on a ski helmet, be sure to identify what type of skiing you are going to do (competitive, fast skiing on a black diamond versus leisurely sliding down a green beginner run) and figure out the balance you are striving for in considering protection versus comfort. 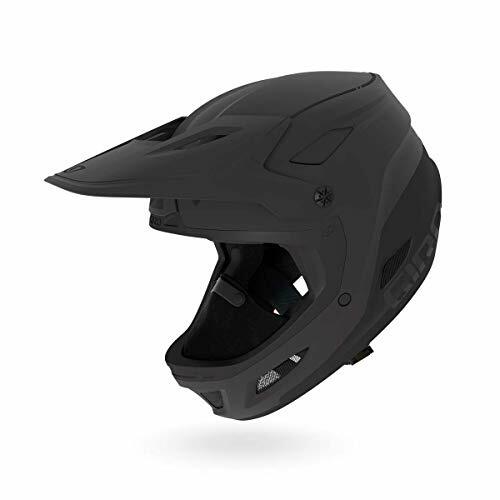 This stylish helmet is protective, adjustable and lightweight, as it uses AEROCORE construction with a hybrid shell to produce a helmet that is safe yet comfortable and easy to wear. 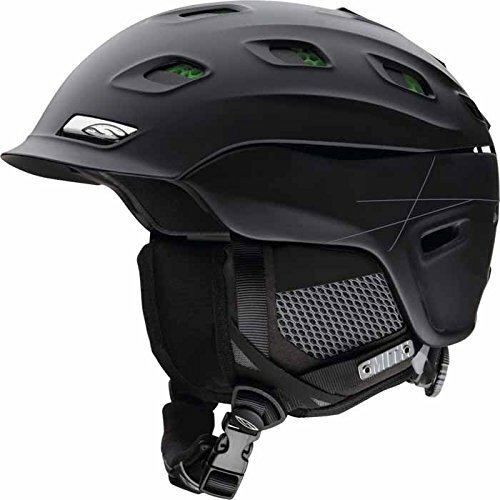 This helmet is also technologically advanced, as it is compatible with Skullcandy audio systems and removable ultra-light goggle lock. 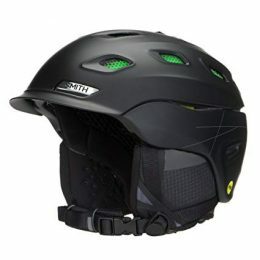 The Smith Optics helmet is available in a wide variety of colors as well. This helmet might look simple on the surface, but it gives you all of the protection and comfort that the jazzy helmets do. It’s a hard-shell head cover with an Aramid Protection Barrier for more head protection. The best thing about this helmet is its versatility. 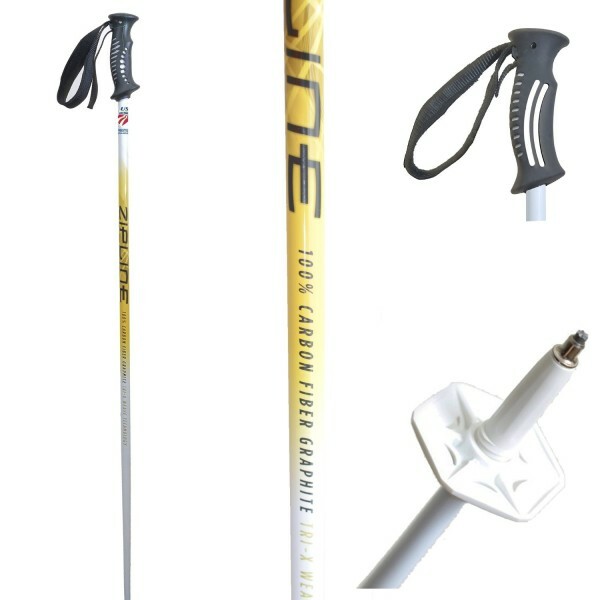 Not only can it be used for water skiing as well as snow skiing and snowboarding, it comes with a detachable earpiece and winter lining. 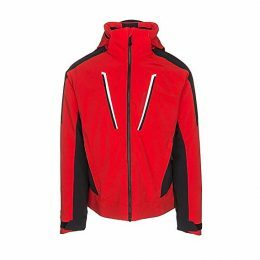 So if you are a little too warm on the slopes, you can get more ventilation in a snap. 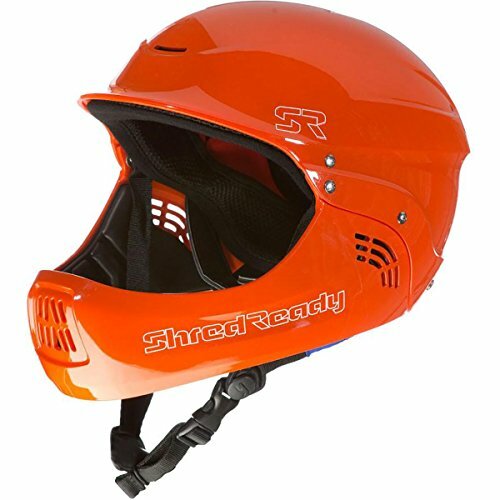 This helmet is a bit less expensive, depending on where you buy it but it provides the safety and comfort of pricier ski helmets. The K2 Rival has an adjustable In-Mold fit system to adjust to a variety of head sizes along with Passive Channel Venting and a washable Full-Wrap Liner System, giving your head the comfort it needs. It also contains a Level 3 Baseline Audio System, so you can hook up your iPod and listen to music. This helmet is lightweight and flashy, as it has a small hard-shell head covering to go along with a chin strap and ear coverings to keep your head warm but ventilated at the same time. 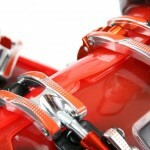 It is CE EN 1077 certified, making it as safe as they come. The vents in the helmet are not adjustable, but the fluorescent pink and orange colors make it visible from space, as well as the rest of the mountain. The Head Icon has two layers of protection, with a hard shell plastic exterior to go along with an EPS Hard Foam interior, giving your head the proper amount of cushion and support. The dial-in fit system allows you to adjust the fit at a turn of a dial, and the vent is adjustable to give you the desired amount of ventilation. 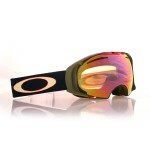 This helmet also comes with a Twist Stop Goggles Retainer to keep your goggles secure and safe. Along with being space-age, this helmet also provides support and protection along with making you a person of interest on the slopes. This head covering features a turning adjustment system to fit your head properly along with a penetration-resistant air-vent cap. The POC Synapsis comes in a variety of flashy colors and has super light and detachable earpiece pads for your comfort. 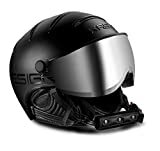 This helmet can be used for skiing, snowboarding, snowmobiling, and a variety of other sporting tasks, as this carbon constructed helmet, is ASTM F2040 and CE EN1077 certified. It protects both the head and jaw along with looking like something a futuristic storm trooper would wear. It’s also comfortable and cool when necessary, as the nine super cool vents keep your head from overheating while enjoying winter sports. This might be the safest helmet on the market, as it is certified by EN 1078 or CPSC, ASTM F2040, ASTM F2032 and ASTM F1970 specifications. 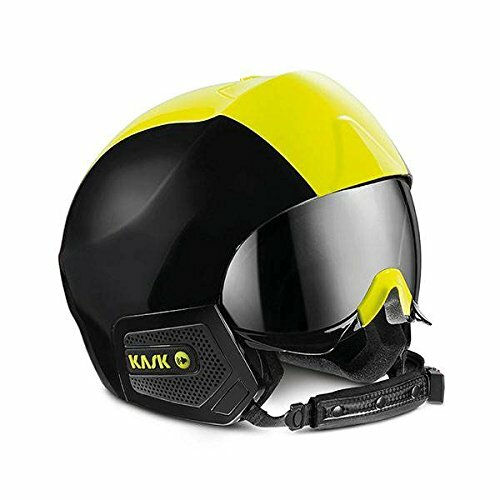 Along with being safe, this helmet has a fiberglass shell with an EPS liner and an integrated airflow system with 14 vents. It also has a washable, detachable, antibacterial liner to keep your head germ free as well as comfortable. It comes in several attractive color combinations as well. Along with being comfortable, this full face snowboarding helmet is one size fits most. So no worrying about having to find an exact size or fit; the Shred Ready does that for you. It comes with an ABS molded shell and EPP Molded Liner and has color-coded sizing pads to help you find that perfect fit. 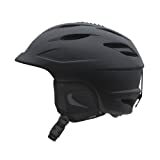 Giro is certainly one of the best manufacturers of snow sports helmets. Their design and intuitive features make them the leader of the pack by a long margin. 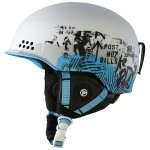 The Giro Seam Snow Helmet is definitely one of the best ski helmets in terms of look and durability. Available in four sizes from Small to XL, the Giro Seam Snow Helmet features in-mold construction and the X-Static anti-bacterial padding account for strength and comfort in wear. The padding allows immense comfort without becoming an infesting ground for bacteria. 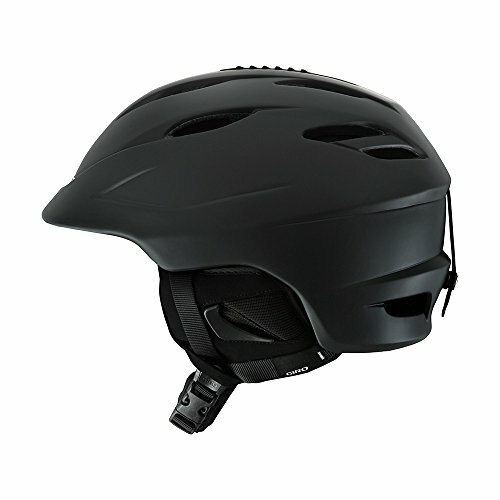 The Giro Seam Snow Helmet comes with 12 Super Cool vents that promote breathability and flow of air across the structure. The Thermostat control comes with a Stack Vent that allows the skier to experience warmth while wearing the helmet even in the harshest of winters. The vents work efficiently in dispersing heat while providing superior comfort at the same time. 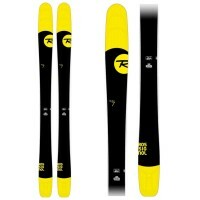 Overall, it is one of the best ski helmets by Giro that is also compatible with all aftermarket tune up systems. 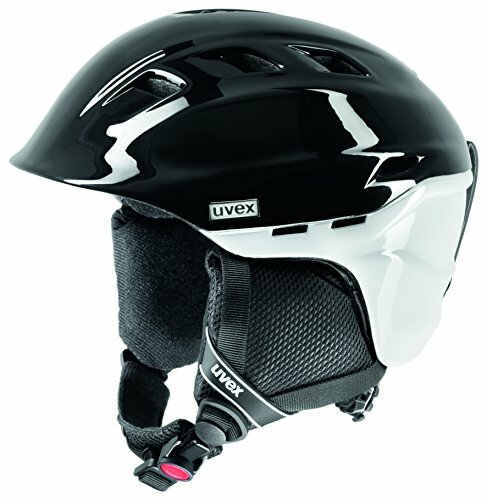 The German made Uvex Visor 300 Ski Helmet is one of the finest ski helmets ever made by the German giants. Ideal for all-mountain use, the helmet features a crystal clear laser gold shield that prevents fog from building up. The light mirror silver finish gives you 100% protection from UV for a clear and wide view of the environment. The helmet also has the IAS 3d adjustment system that is easy to use and gives you the perfect fit with the dial. The Uvex Visor 300 Ski Helmet features some of the finest materials engineered together to make a highly durable gear to conquer mountains. It’s probably one of the most innovative ski helmets available today that offers an incredible increase in vision through its superior venting. The visor, otherwise known as the shield, is quite easy to remove and can be easily replaced with most standards goggles as well. The only downside with this helmet is the size, as most helmets are not available in standard sizes. Despite that, it stands out as one of the benchmark helmets of 2018. The Uvex Women’s Comanche 2 Pure High-Performance Ski Helmet is true to its name with its definitive look and feel. 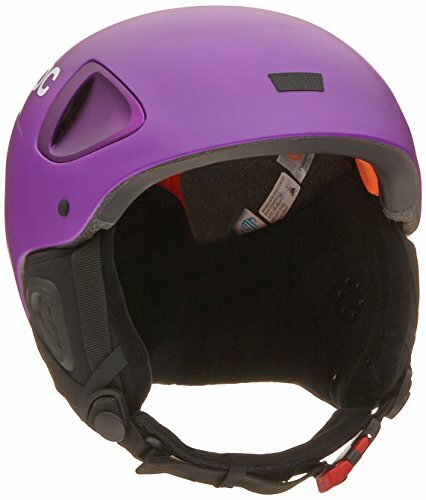 It is after all, one of the best selling ski and snowboard helmets for women, and one of the most iconic designs by Uvex. 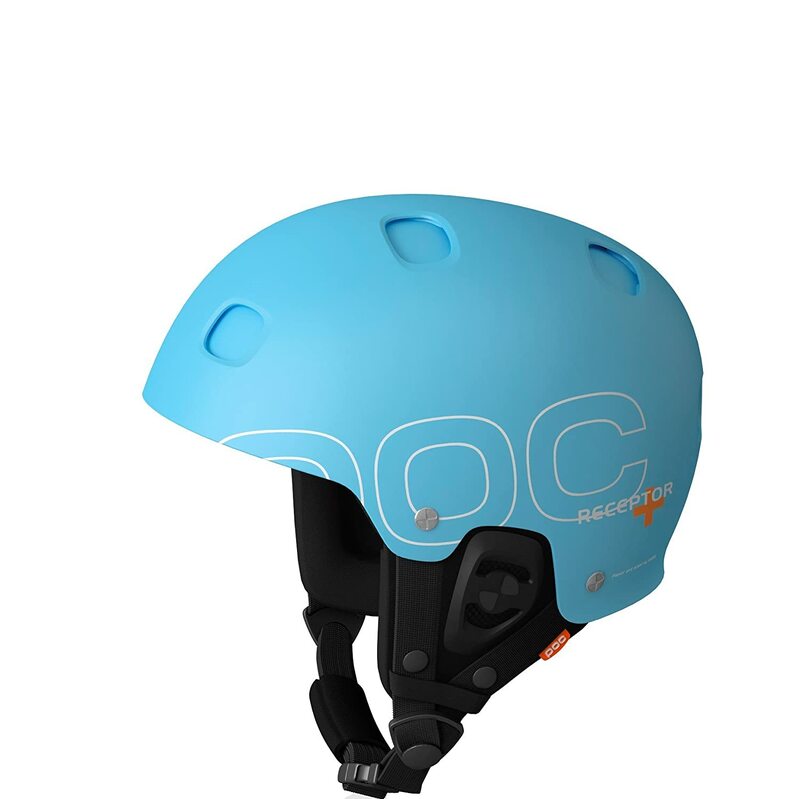 It is one of the most durable and high tech women helmets that you can find in the market. Featuring a comfortable fit system, you can easily adjust the dial for the perfect fit. 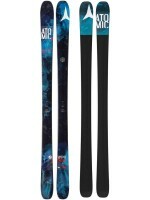 On top of that, the adjustable venting makes it all the more desirable for women who are focused on performance more than casual skiing. The Uvex Women’s Comanche 2 Ski Helmet features a plush design that is specific to the female head shape. As such, it makes the helmet lighter and sleeker than most female and unisex ski helmets. At only 440 grams, it is one of the lightest helmets around and features removable ear pieces and liner that come with an integrated visor and standard goggle compatibility. The ergonomic shape, modern design, and stylish look definitely make the Comanche 2 one of the best specialty ski helmets by the German makers. Battlefield fans will definitely recognize this helmet design. While not being bulletproof, the Kask Class Shadow Ski Helmet is one of the purest ski helmets for pro skiers. 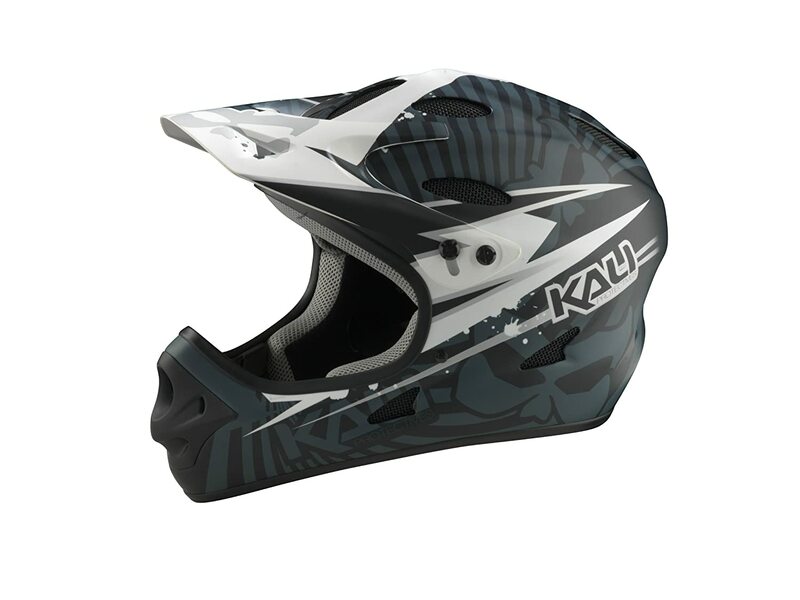 Featuring a highly ergonomic design, the helmet boasts an adjustable buckle that is easily manageable even with gloves. The visor is what certainly brings back memories from gaming. Featuring an innovative design, the anti fog and anti scratch lens provides a panoramic view of the environment like no other. To ensure maximum comfort and hygiene, the makers have made the inner padding and ear-flaps removable, and they can be hand washed. 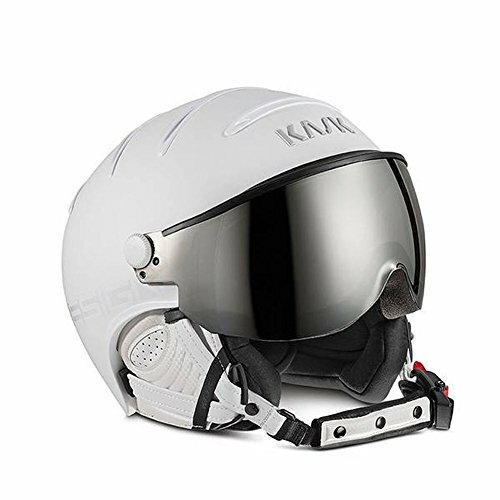 The Kask Class Shadow Ski Helmet features a high tech venting system that is integrated with the helmet to offer aeration holes that provide improved airflow. When combined with the highly efficient breathable inner fabrics, the helmets give you physiological comfort that compares to none. The matt finish gives it an iconic look and the leather like chinstrap allows you to adjust the fit with micrometrical units. 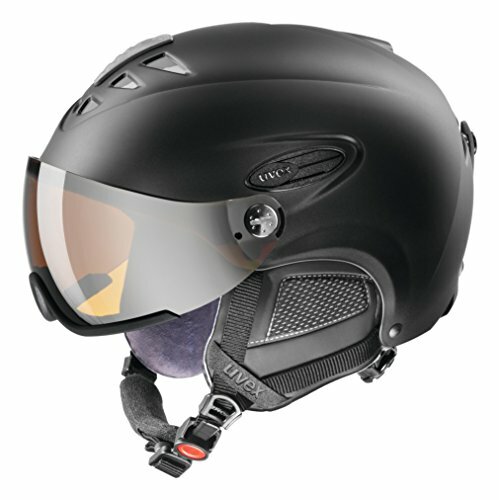 The lens featured in the helmet is Optical Class 1, which means it is one of the best in the market. Despite being expensive, the Shadow Ski Helmet certainly offers great value for money. True to its name, the Kask Stealth Matt Ski Helmet is probably the best ski helmet for professional skiers who want performance, comfort, and a unique look. It comes with highly ergonomic earflaps and injection molding made of ABS that give you the ideal fit with great thermal insulation. The Helmet has been extensively researched and developed once the manufacturers found the right balance between equilibrium and audibility. 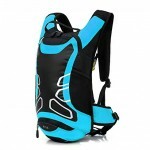 The antibacterial inner padding is highly breathable, not to mention removable and washable as well. The helmet comes with integrated goggles that are retractable, removable, and interchangeable to give you a panoramic view of the environment. The Kask Stealth Matt Ski Helmet comes with Lens Optical Class 1 that has anti fog and anti scratch features. 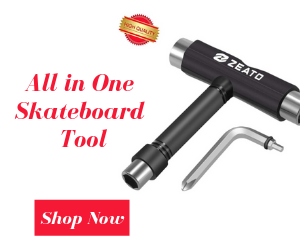 The soft foam material makes it highly ergonomic and the micro-metrical measurements in adjustment give you the perfect fit. Despite being an open face helmet, it gives you amazing protection against cold weather. 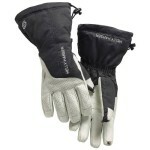 The Active Venting System keeps the cold away while regulating the temperature in the helmet for physiological comfort. On the downside, the price is a little too steep, but that’s something you have to get used to if you’re buying from Kask. On the upside, you may not find such a durable, performance oriented, and cool looking helmet. 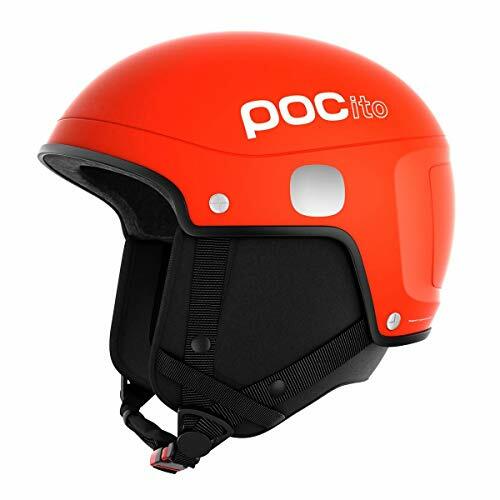 The best ski helmets on the market skillfully integrate safety, comfort, and fashion and form a dynamic look that will make you the star of the hill. While there are several good helmets on the market, the above helmets do the best job of fulfilling all of your ski-helmet needs while also making a statement. 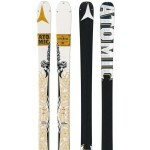 So have fun shopping as you get ready for the rapidly approaching winter sports season.